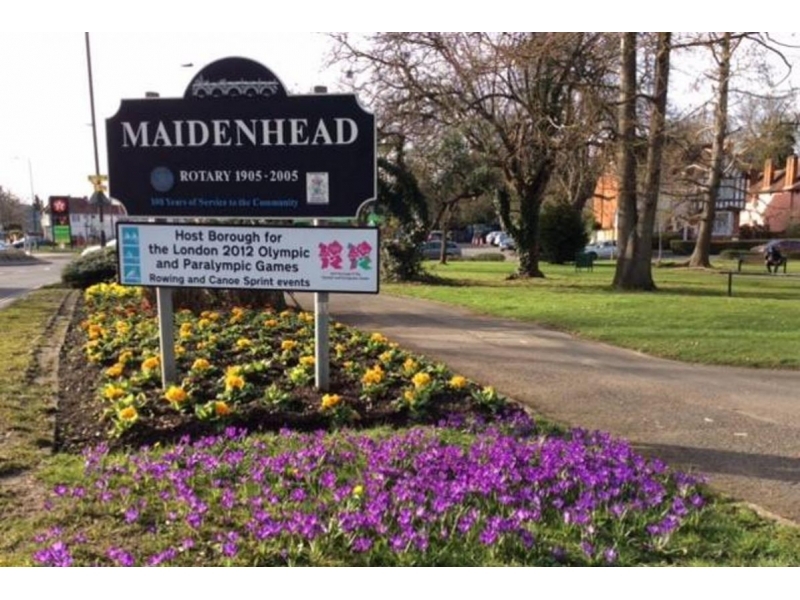 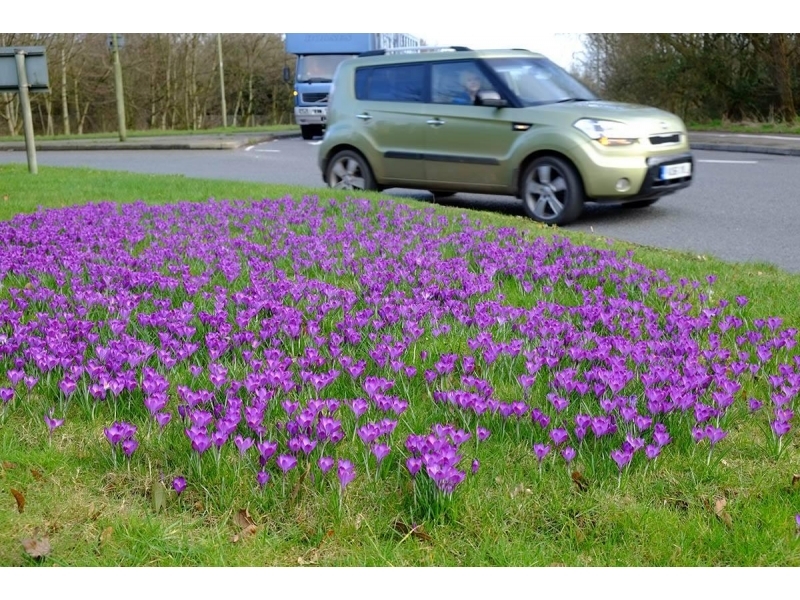 Rotary clubs, community groups and friends and family planted 340,000 crocus corms across the Thames Valley in October and November. 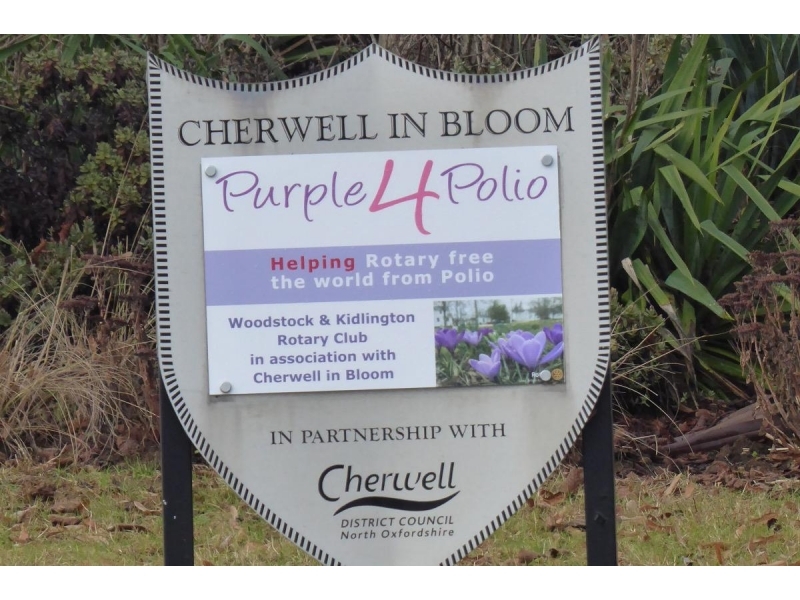 Now we have great displays of purple for all to see and for all to be reminded of the fight to End Polio. 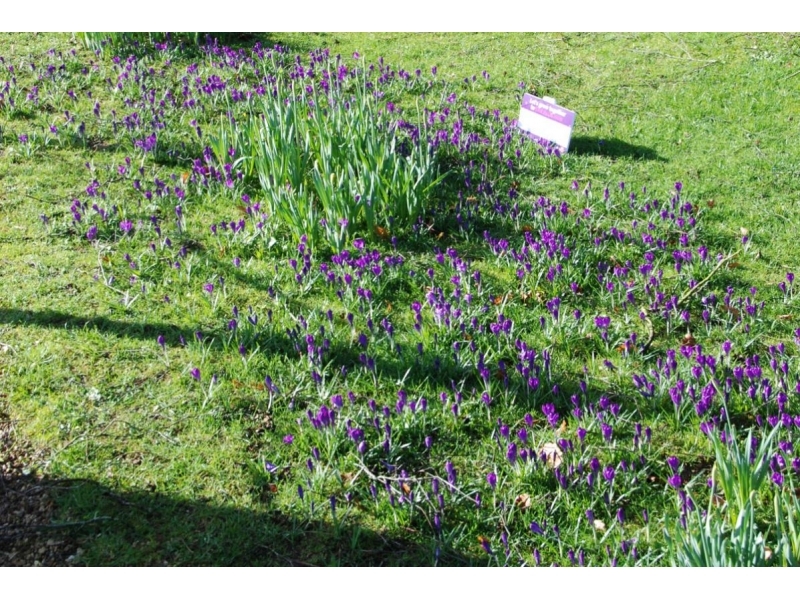 See the planting photos. 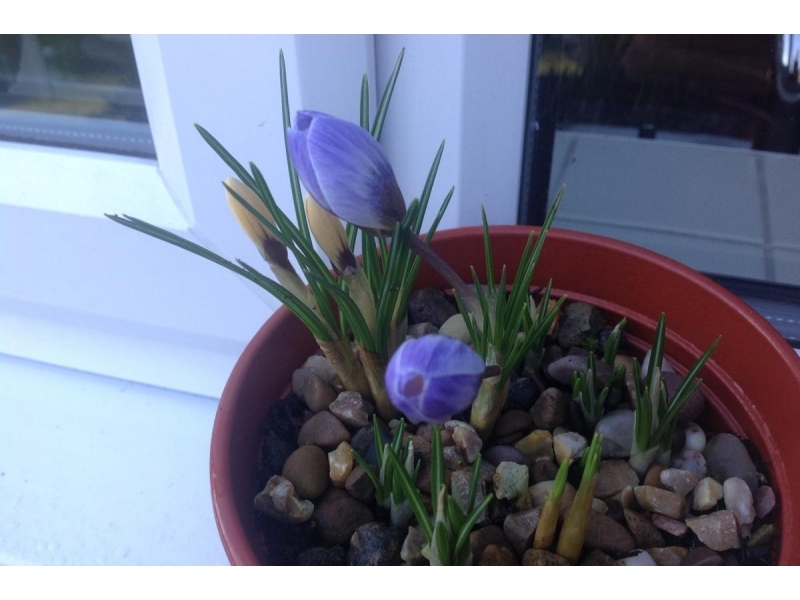 Gerry in Thatcham claimed to have the first flower, but a few of us think he was cheating, keeping the pot inside. 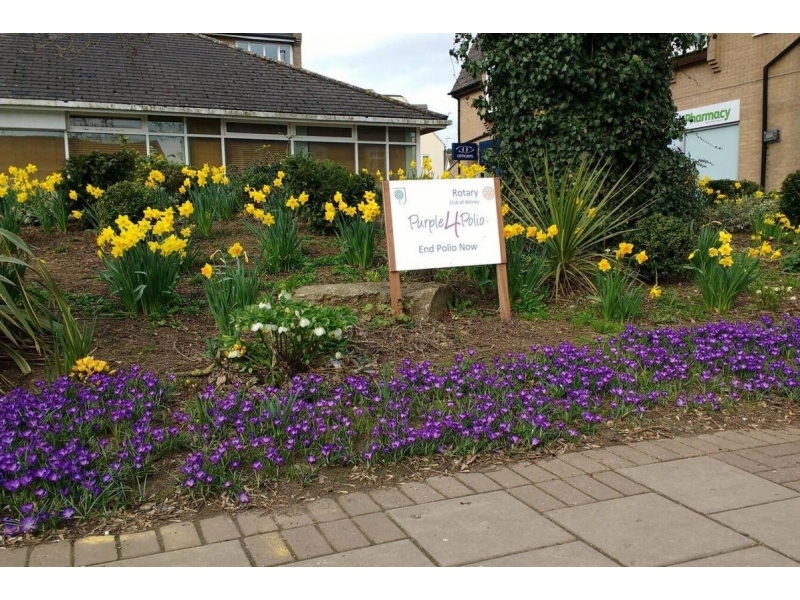 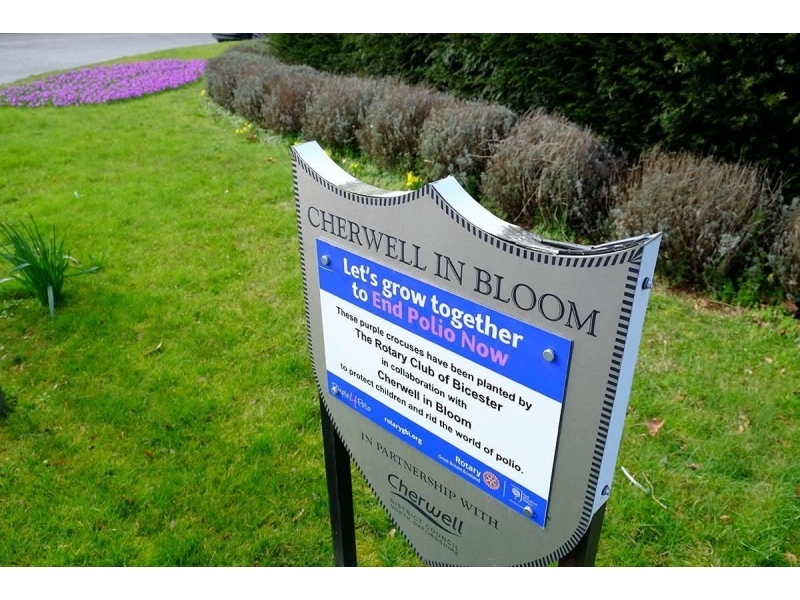 Lovely displays of flowers in Clanfield and Faringdon, planted by members of Faringdon & District Rotary Club with friends and family. 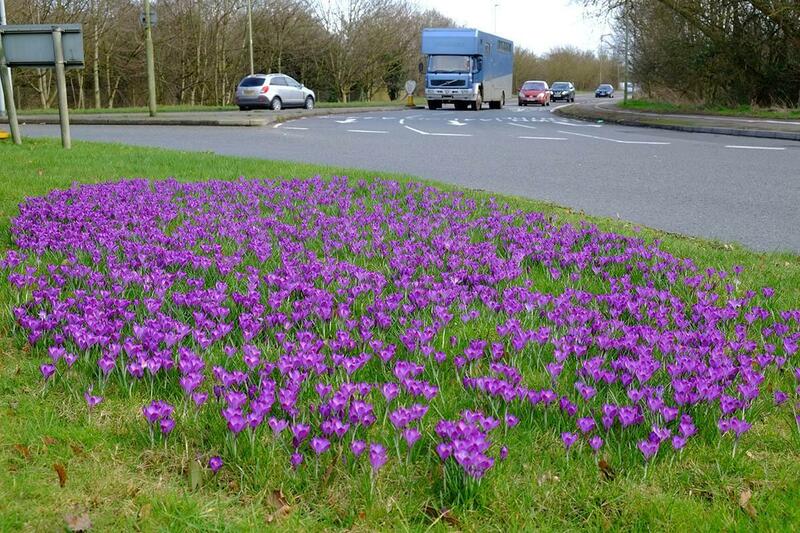 Let's hope that the mass of purple on the roundabouts in Bicester doesn't turn too many heads - or at least not the heads of drivers. 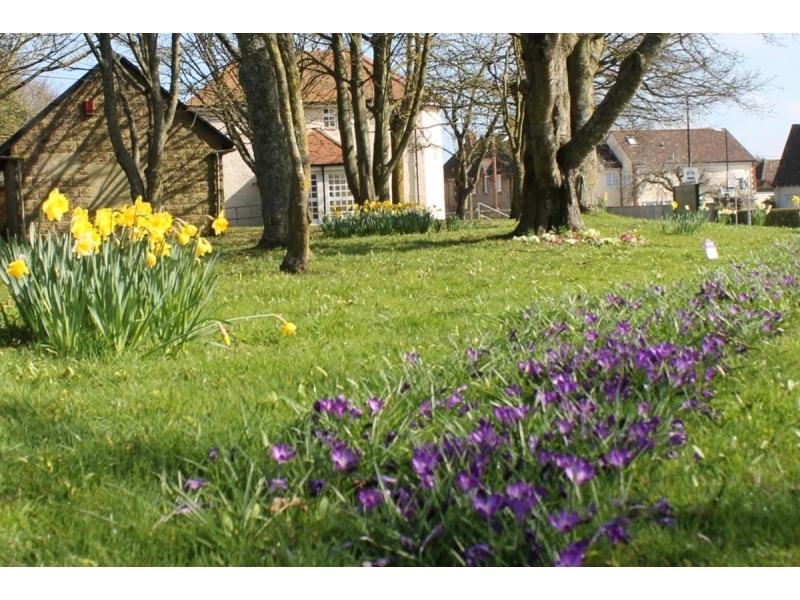 Read more in the Bicester Advertiser. 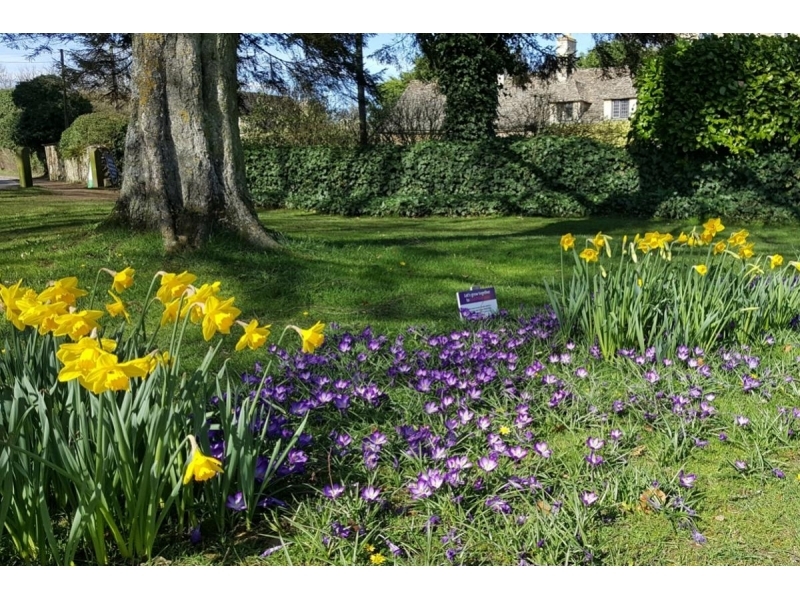 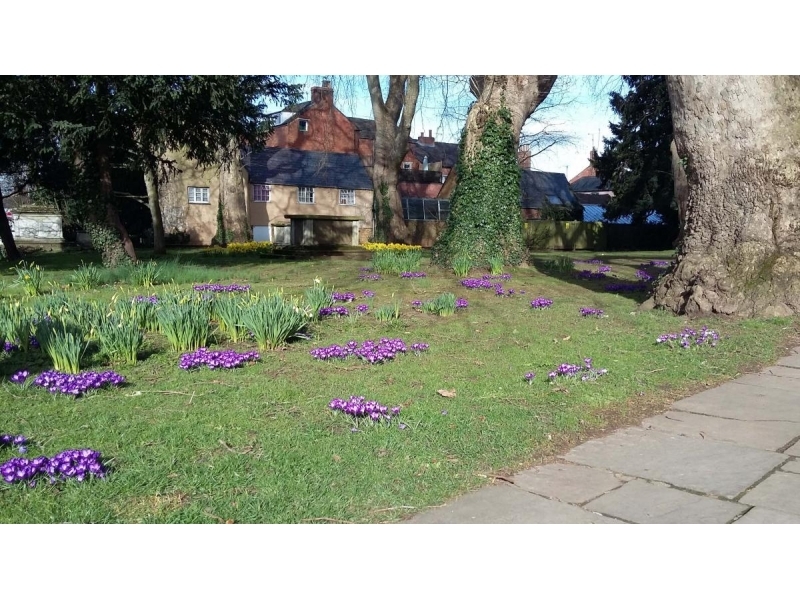 Banbury surely must qualify for the title of 'most purple town in the country' as 47,700 corms were planted last autumn to add to those already planted in previous years. 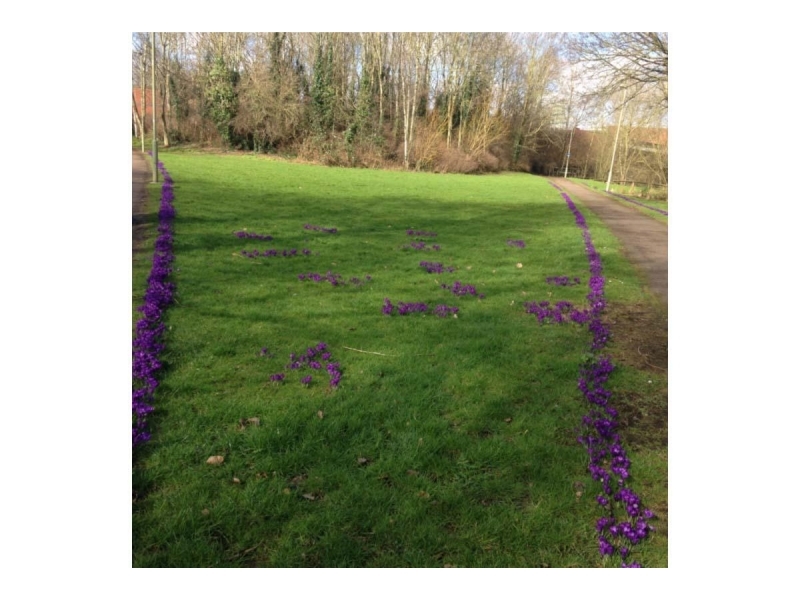 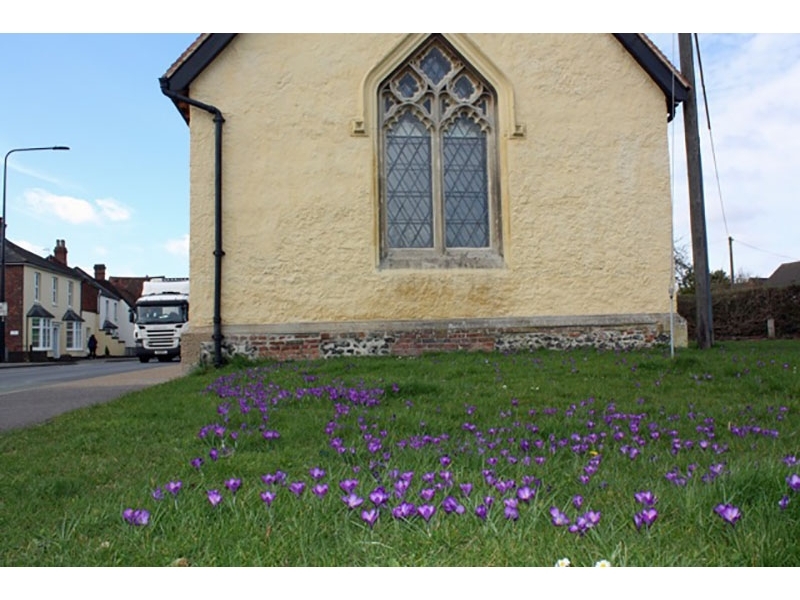 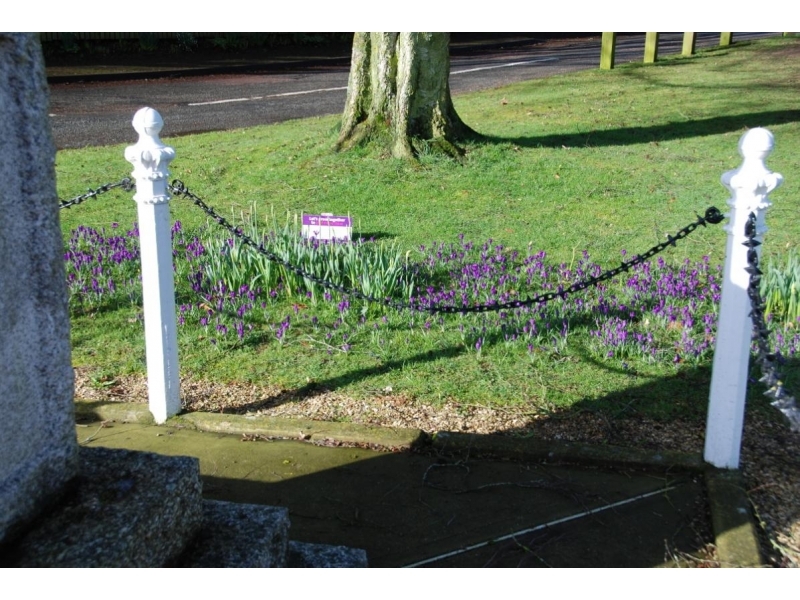 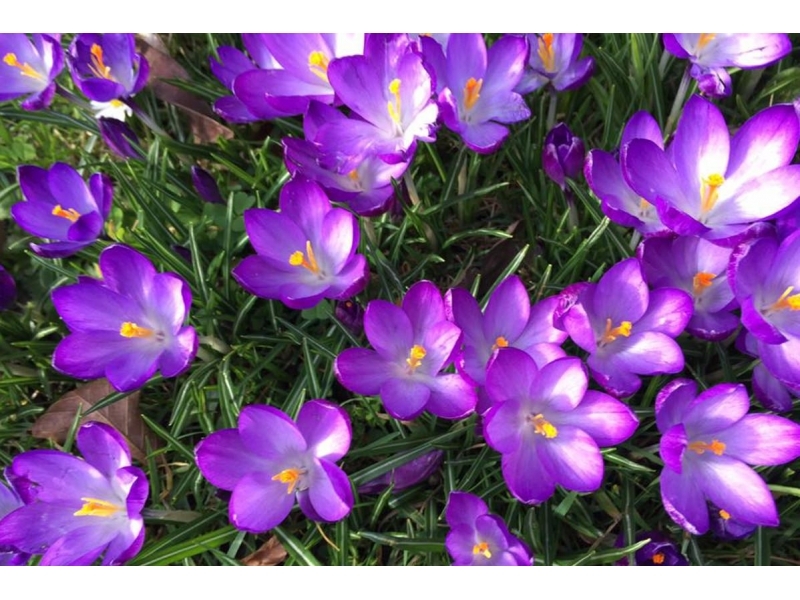 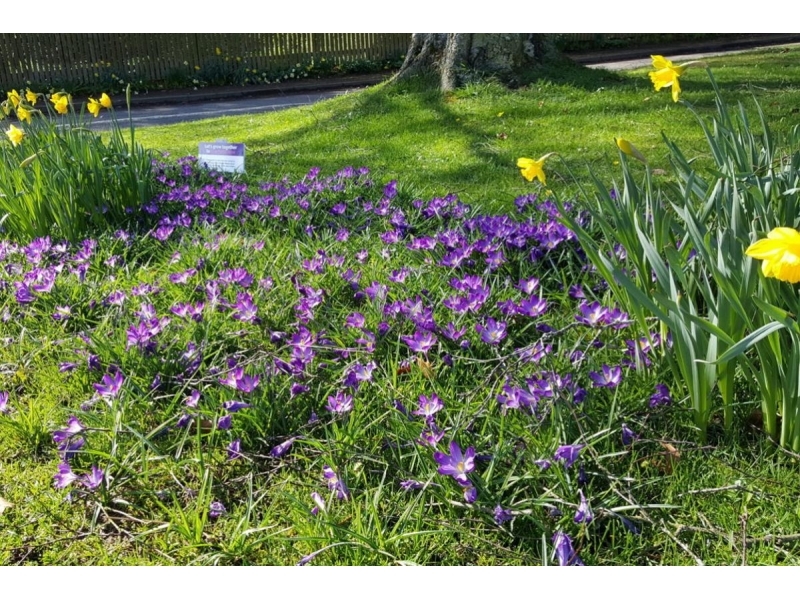 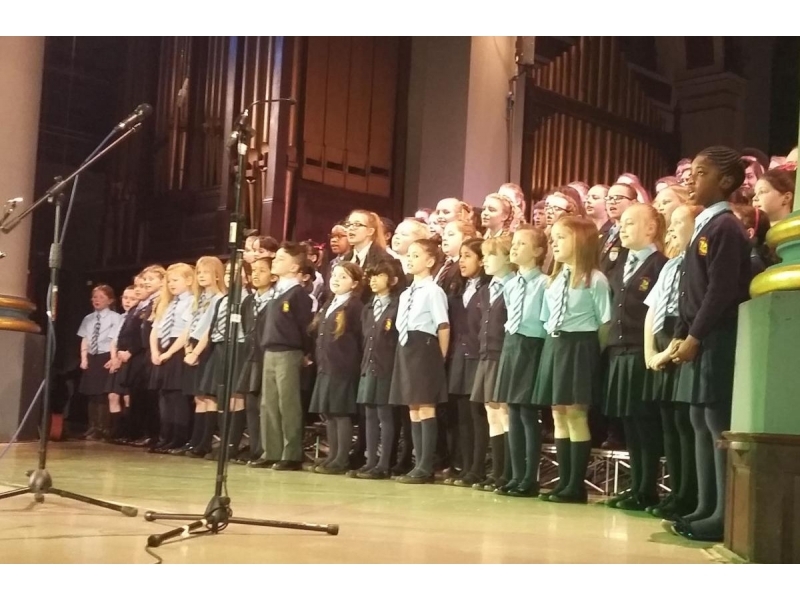 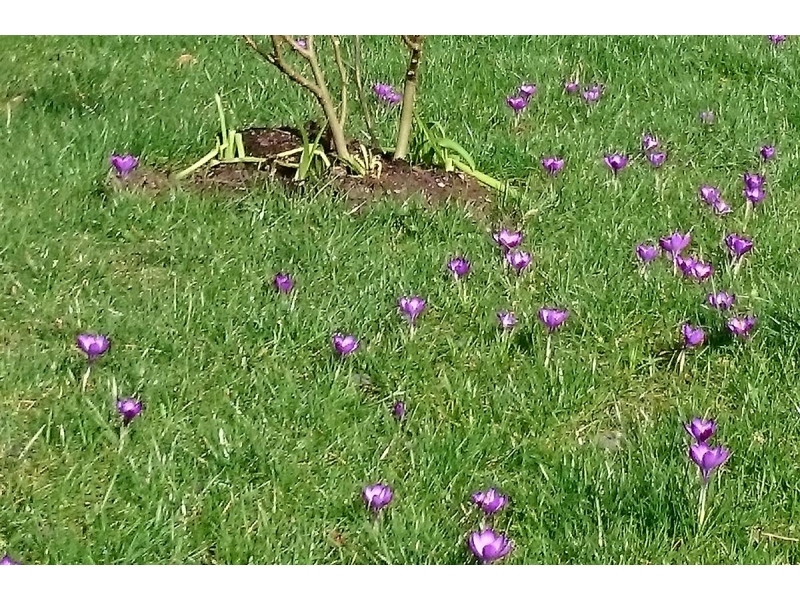 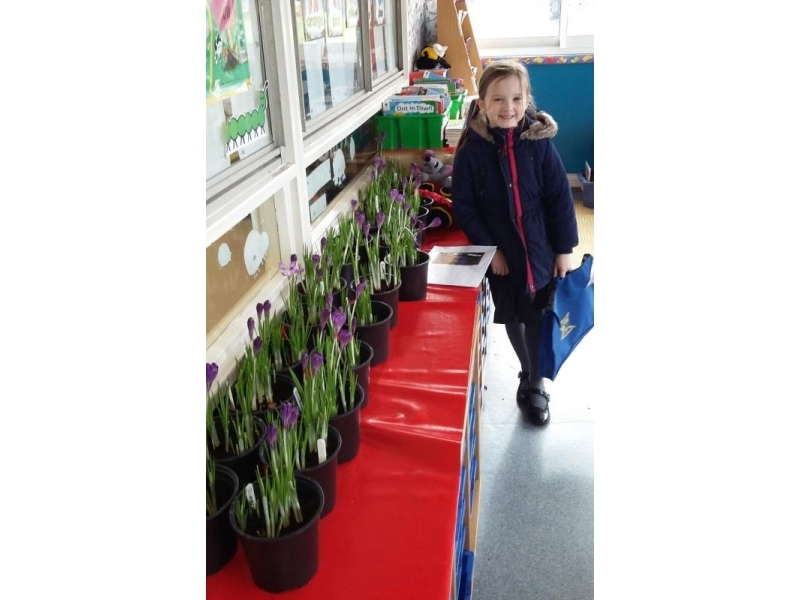 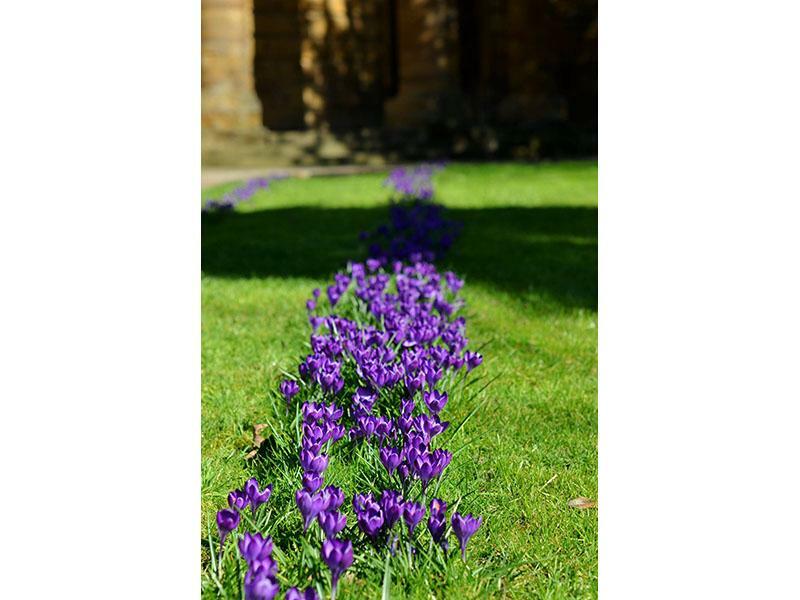 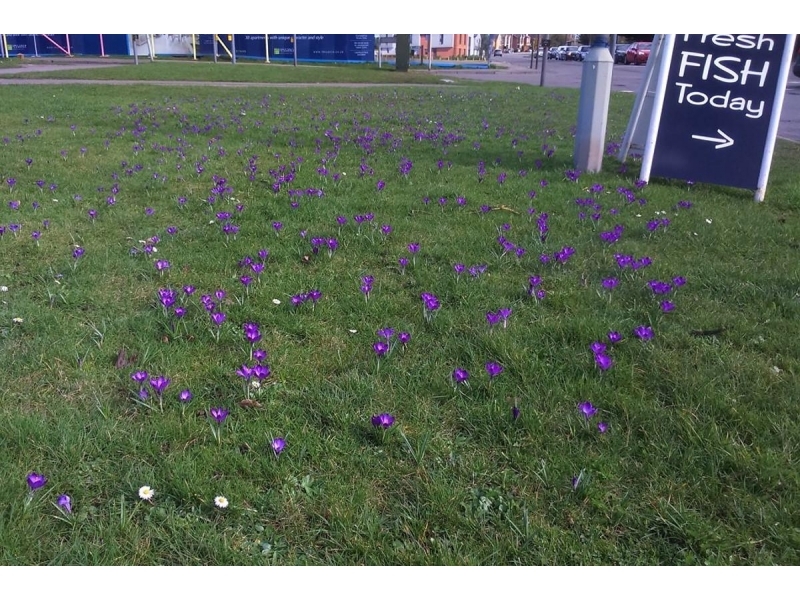 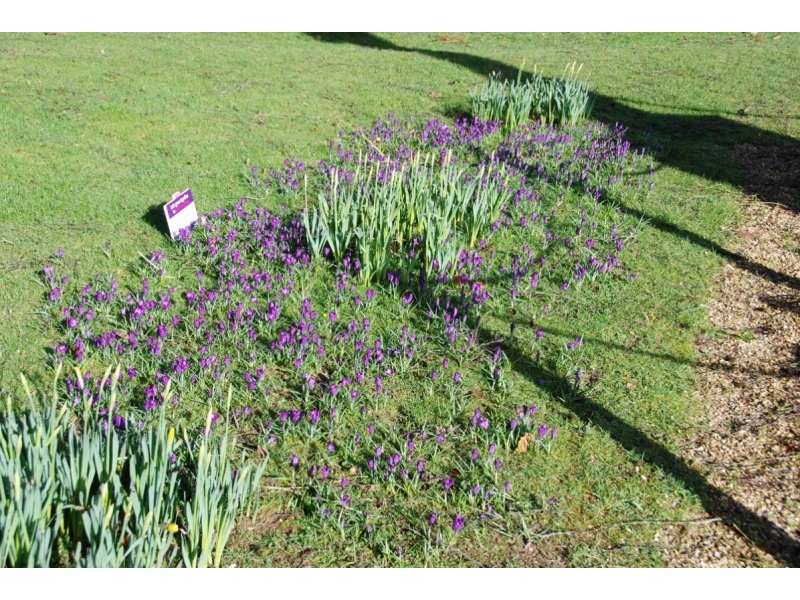 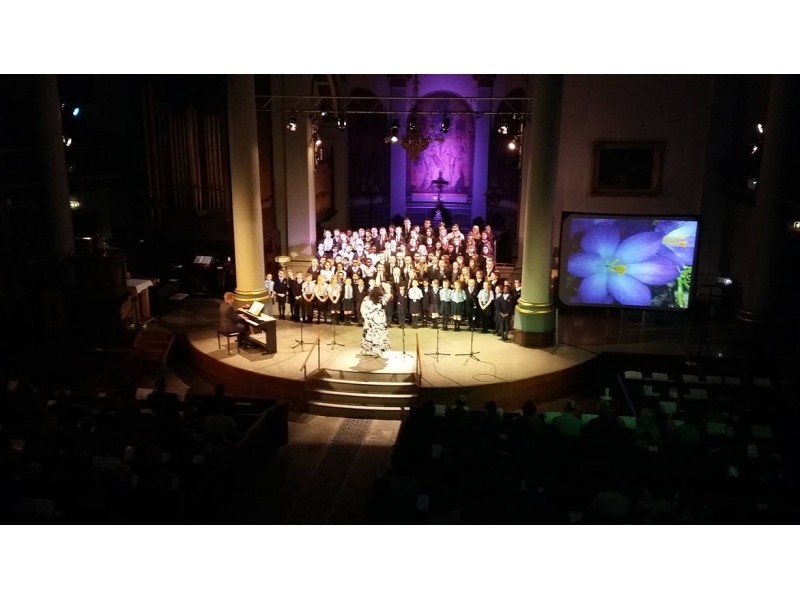 As these bright purple gems burst into bloom all over the town, Banbury Rotary Club celebrated with their now legendary Crocus Concerts in St Mary's Church on 7th and 9th March with stunning performances from young musicians attending the secondary schools in the area. 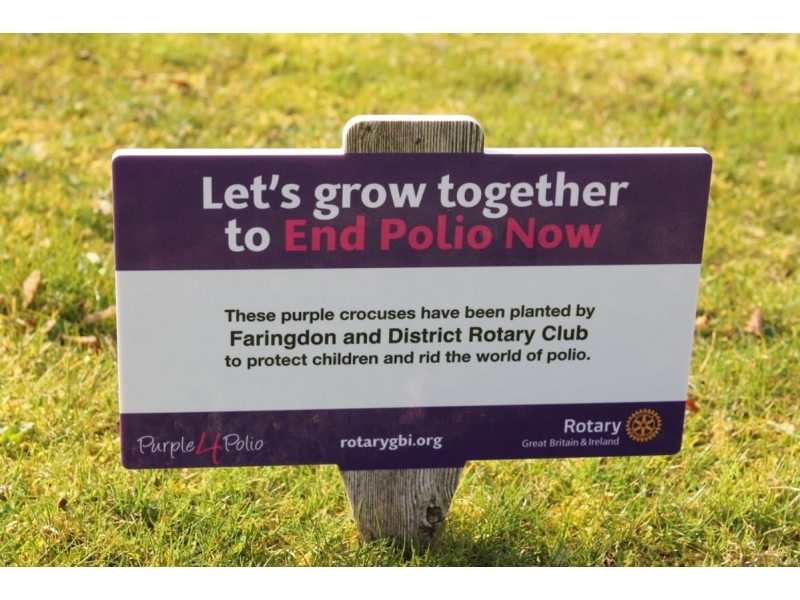 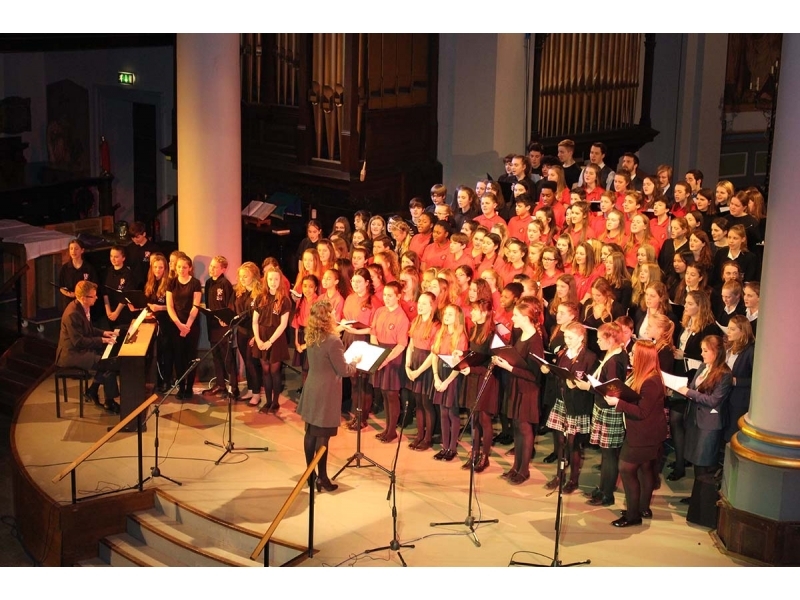 £3000 was raised from the concerts, enabling the Club to send £7000 to date for polio eradication. 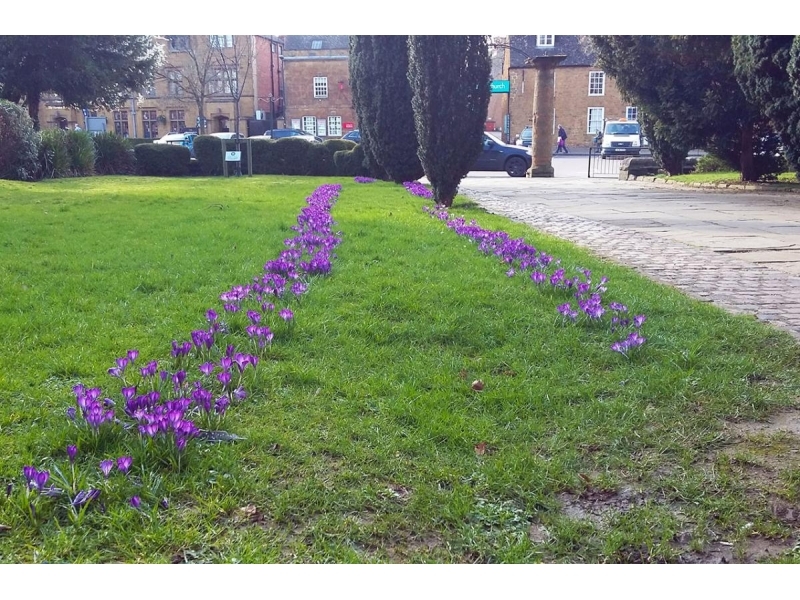 Read all about it in the Banbury Guardian and the Witney Gazette. 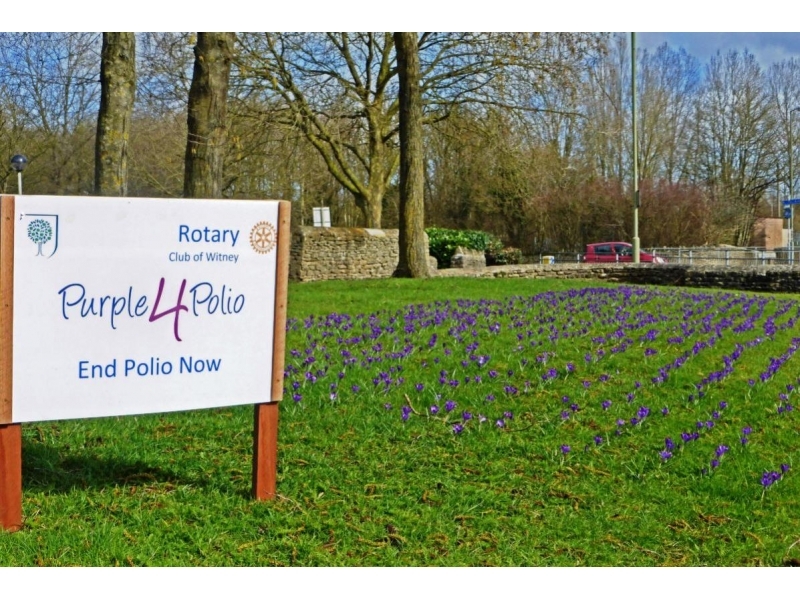 Witney Rotary Club planted in Carterton, Thatcham Rotarians planted through the town.